Bodyment supplies only the highest quality surgical grade compression hosiery Australia for post operative support & everyday support. Our garments are sourced from the United States, Germany & Switzerland. Shop post op compression garments online at Bodyment to ensure you get the best results and most comfortable medical support stockings. Can’t find what you’re looking for? Just contact us here. The value of medical Compression Therapy is plentiful & the reasons vary from person to person as to why you decide to purchase Compression Socks or Stockings. What Compression Class are you? Affordable Medical Grade graduated compression socks & stockings bringing a whole new level of support. Ulcer compression garments can assist with improving blood flow once an ulcer has been treated by your health professional. Bodyment has a range of Jobst and Sigvaris Class III (30-40mmHg) compression stockings including the Jobst Ulcer Care Zippered compression socks to help with the healing process. Ulcer Care comes with spare liner socks. Zip available left or right of leg. All Class II and III stockings are used in the treatment of leg ulcers. May be claimable from your Private Health Insurance. 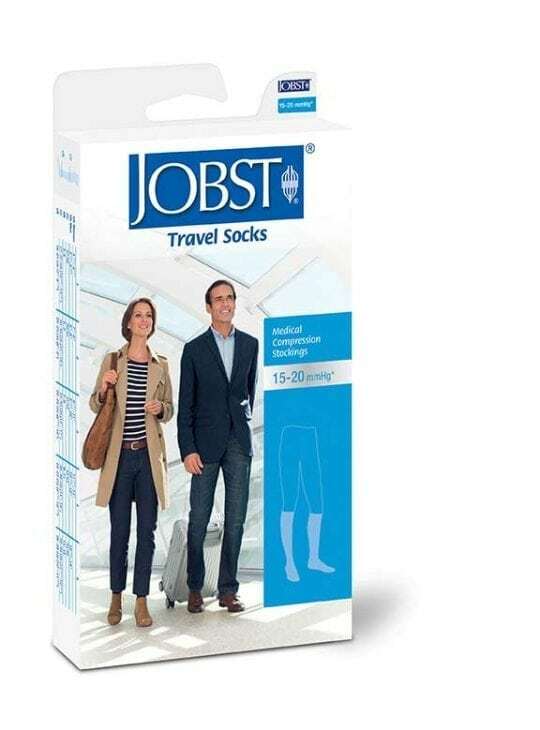 Jobst Anti-Embolism socks and stockings or “TED” socks and stockings are generally used during and soon after a surgical procedure to help keep the blood flowing freely in the legs and help prevent DVT. Knee high TED socks and thigh high TED stockings for men and women. Available in white only with an open inspection toe. Not to be confused with Travel Socks. 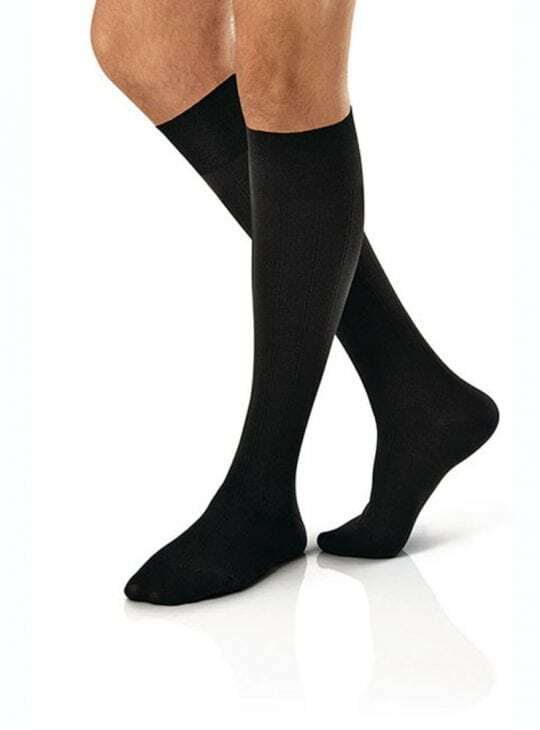 Class I 15-20mmHg knee high compression socks for men and women will help relieve tired, aching legs. They are ideal for everyday wear, during pregnancy, for travel and for sport. Available in socks, thigh high, pantyhose and maternity pantyhose. Jobst Relief, Ultrasheer, Ultrasheer Soft Fit, Active and For Men styles. Class I provides 15-20mmHg compression. Promotes good blood flow back up the body. 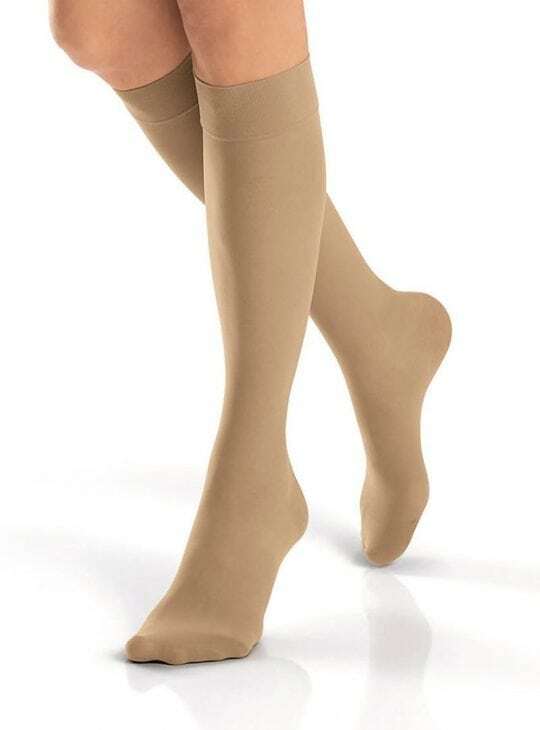 Class II 20-30mmHg Knee High Compression socks provide approx. 20-30mmHg of graduated compression. Ideal for wear post surgery. Suitable for maternity, sport, lymphedema, sclerotherapy or DVT. Available in Relief, Ultrasheer, Ultrasheer Soft Fit and For Men styles. Can assist with ulcer management. Perfect for tired, aching legs. Maybe claimable from your Private Health Insurance. 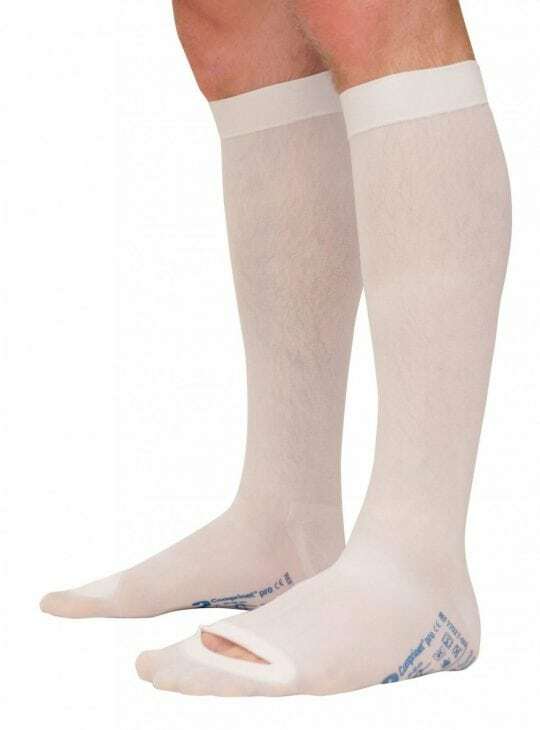 Class III 30-40mmHg compression socks and stockings are generally used for Lymphedema or severe Vascular conditions. Please always check with your Health Professional before wearing Class III graduated compression hosiery. Class III are available in knee high, thigh high, pantyhose, maternity pantyhose and chaps styles for men and women. Usually prescribed so please check with your Doctor. Helps prevent and relieve sever varicose veins. Used for lymphedema and sever edema. Aids in the treatment of ulcers. Flying compression garments make good sense. Bodyment has a great range which will help prevent DVT and swelling of the legs. Comfortable for everyday wear and are available in a range of colours and styles. 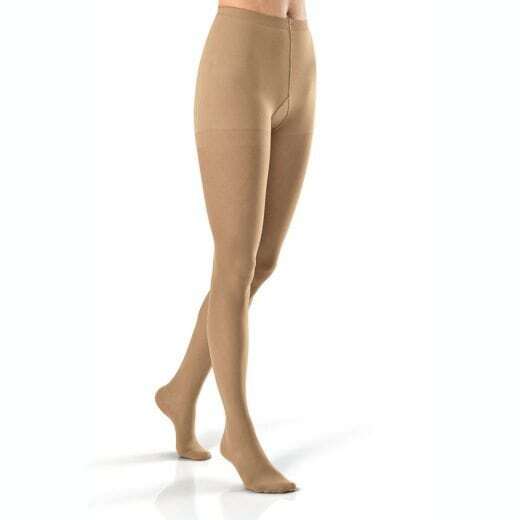 We suggest wearing Class I (15-20mmHg) compression unless otherwise directed by your Health Professional. Put on your socks or stockings prior to leaving home. Keep them on until you arrive at your accommodation. Position the heal properly and keep the socks/stockings smooth. 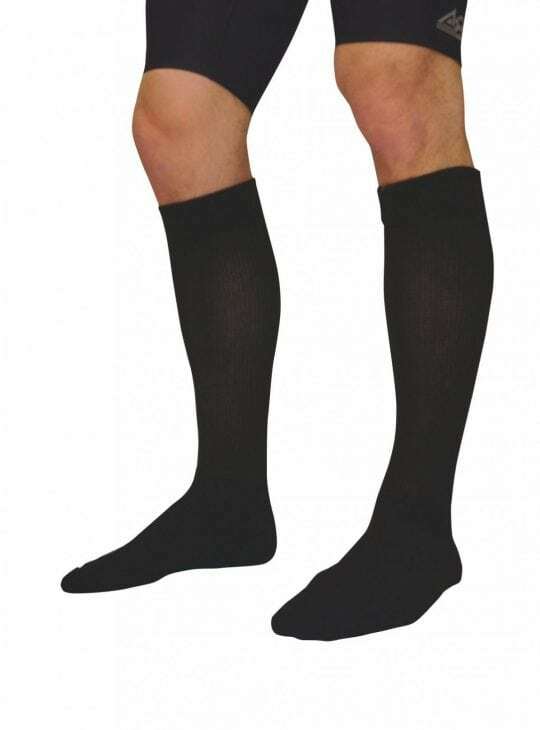 Class I 15-20mmHg knee high compression socks for men will help relieve tired, aching legs. They are ideal for everyday wear, during pregnancy, for travel and for sport. 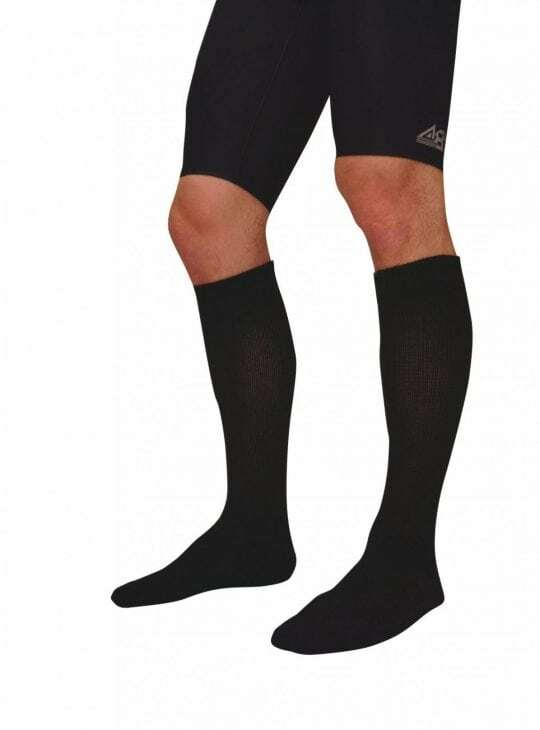 Class II 20-30mmHg Knee High For Men Compression socks provide approx. 20-30mmHg of graduated compression. 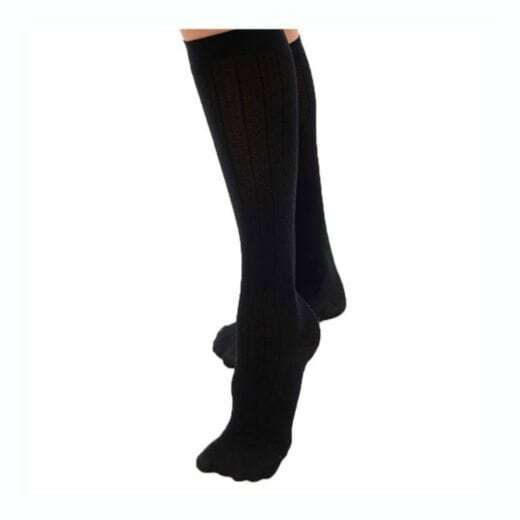 Class I 15-20mmHg compression socks and stockings for men and women will help relieve tired, aching legs. They are ideal for everyday wear, during pregnancy, for travel and for sport. 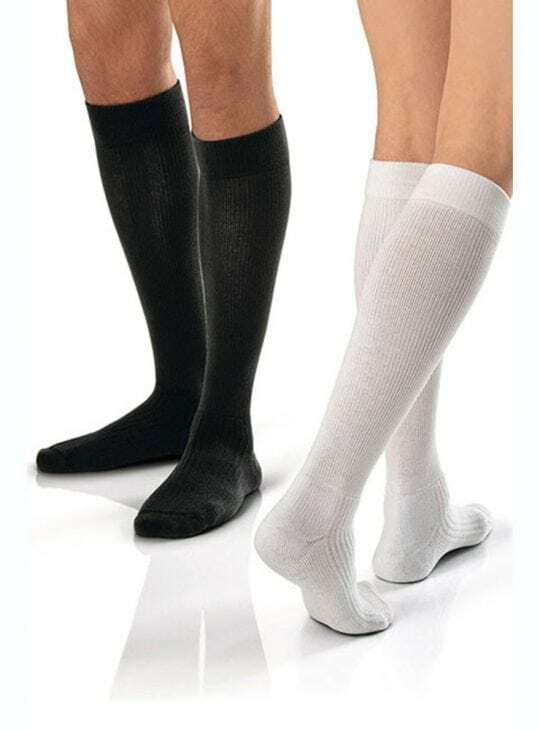 Class II 20-30mmHg Knee High Active Compression socks for men & women provide approx. 20-30mmHg of graduated compression. Chaps compression stockings are one leg only – left or right. Bodyment has surgeon preferred Jobst medical grade graduated compression chaps which are ideal for all types of vascular surgeries. Chaps compression stockings have an open toe. Adjustable waist band – ideal for anyone with a silicone allergy. Bodyment also has stocking applicators, gloves and satin slips. Class II 20-30mmHg Compression socks and stockings provide approx. 20-30mmHg of graduated compression. These products will most likely be prescribed for wear after a Vascular Procedure. Class II are available in knee high, thigh high, pantyhose, maternity pantyhose and chaps styles for men and women. Ideal for wear post surgery.. 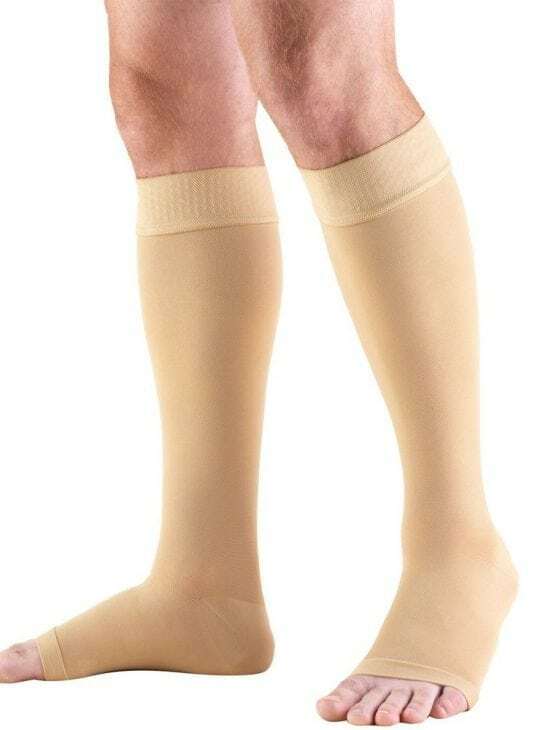 The For Men thigh high 20-30mmHg graduated compression stocking has wide comfortable silicone support bands. Available in a pair and comfortable for everyday wear. 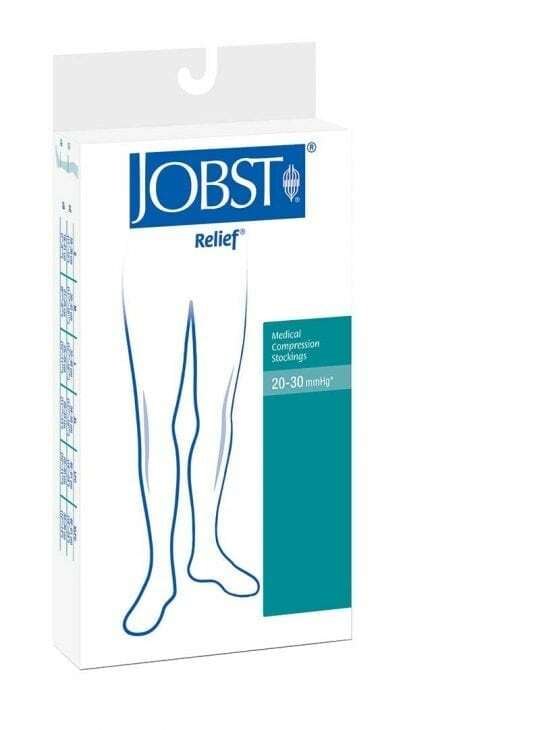 Features: These Jobst F0r Men 20-30mmHg graduated compression stockings men’s have a closed toe They also cover the entire leg up to the top of the thigh. 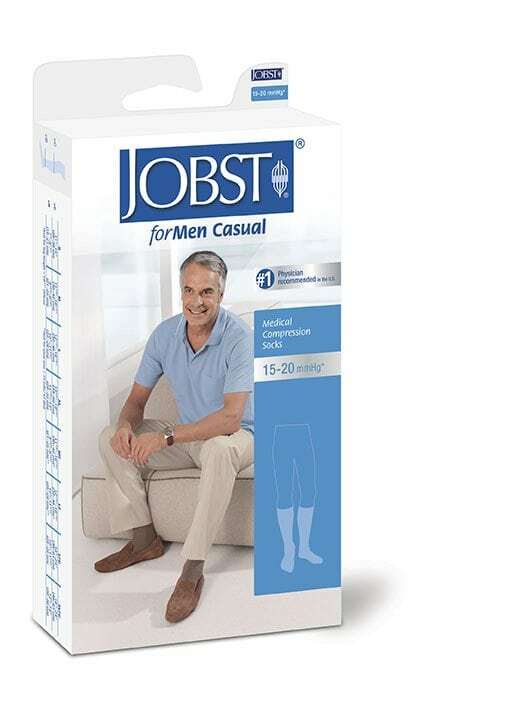 Durable and affordable, Jobst For Men stockings assist with a range of conditions. Jobst medical grade compression stockings are graduated compression, therefore you will have targeted medical grade compression and comfort all day. Silicone blend softener makes Relief easy to put on. Special Moisture-Transport System with soft micro and multi-fibre yarns in the sole keeps feet dryer. Anti-bacterial additive reduces unpleasant odour. Maternity Pantyhose, Socks & Stockings. Swelling of the lower limb is a common problem for many women during pregnancy. Bodyment can help with our medical grade graduated compression socks. Available in Class I, II and III dependant upon severity. Always check with your Health Professional for advice on compression. Jobst Ultrasheer, Relief and new Ultrasheer SOft Fit available. Maternity knee high socks may be claimable from your Private Health Insurance. 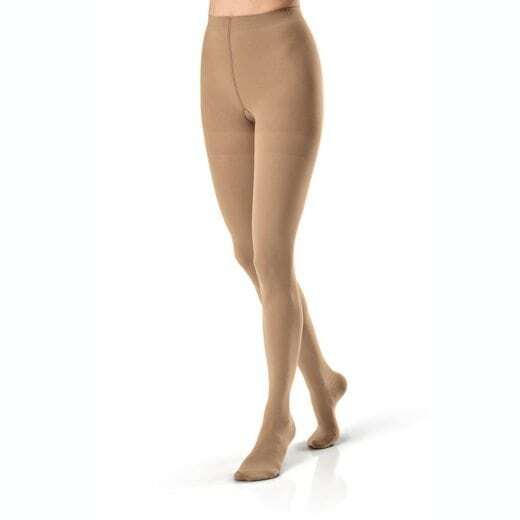 Jobst graduated medical compression thigh high stockings are ideal to wear during pregnancy. They provide medical grade graduated compression to help prevent and control varicose veins. Available in Class I and Class II. Available in a range of fashion colours. Sheer and great look and feel. Medical Condition Compression Socks & Stockings. 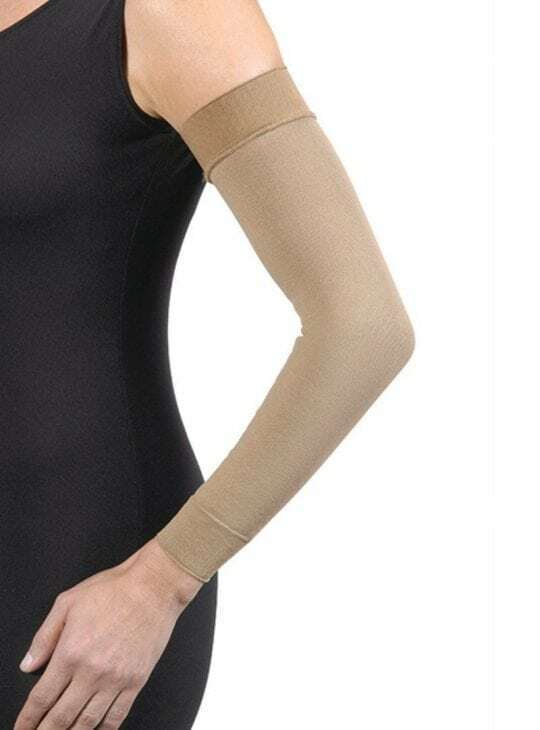 Lymphedema compression garments to help control your swelling. Treating your Lymphedema has never been easier thanks to our Jobst and Sigvaris graduated compression arm sleeves, stockings, socks and gauntlets. Always consult your health professional for medical advice. Lymphedema usually requires CLass II or Class III. Hosiery available in Jobst and Sigvaris brands. DVT compression garments will help reduce the risk of developing a DVT (blood clot) in your legs when travelling or at anytime. If you have previously experienced a DVT, then you may need to wear compression daily. Class I (15-20mmHg) for prevention. Class II (20-30mmHg) or Class III (30-40mmHg) if a clot has already developed. Anti Embolism TED socks and stockings for during and immediately after surgery. Medical hosiery may be claimable from your Private Health Insurance. Varicose veins compression available from Bodyment. Wearing graduated compression socks and stockings will help with improving blood flow and thus reduce swelling and discomfort. Available in knee high, thigh high, chaps and pantyhose for men and women. Class I for prevention only. Class II and Class III can help prevent deterioration of the veins. Medical grade in a variety of styles and colours. Graduated compression hosiery may be claimable from your Private Health Insurance. Spider Veins compression garments can be worn every day or following the sclerotherapy procedure. Spider Veins are diluted veins that appear close to the surface of the skin. Medical grade graduated compression in all classes. Stockings will help reduce pain and promote better blood flow. Jobst hosiery available in a range of fashion colours. After undergoing a vascular procedure of the legs, you will be required to wear medical grade post-operative hosiery for at least two weeks. 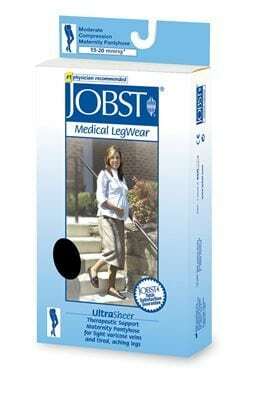 Jobst graduated compression stockings are medical grade. Helps with blood flow and reduces swelling. Check with your Health Professional for advice. 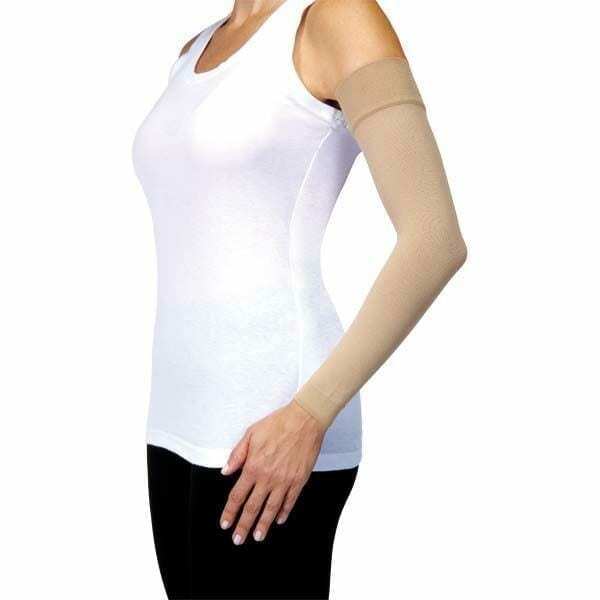 Shop: Arm Lift Compression Garments Women, Arm Lift Compression Garments Men. Laser Ablation Compression garments are required to be worn for up to two weeks. Our Jobst medical grade graduated compression thigh high stockings and chap stockings are usually worn for up to five days 24/7. Then they should be worn during the day only for another 10 days or so. Always check with your health professional for advice. Chaps available in open toe only. Thigh high available in open or closed toe. Hosiery may be claimable from your Private Health Insurance. Wear venous insufficiency graduated compression socks and stockings to help push the blood back up your legs. Problems with blood flow can be reduced by wearing medical grade graduated compression from Jobst and Sigvaris. Socks and stockings available in all compression classes. Can help prevent varicose veins, DVT and ulcers. Edema compression garments can help reduce and prevent swelling of the legs. 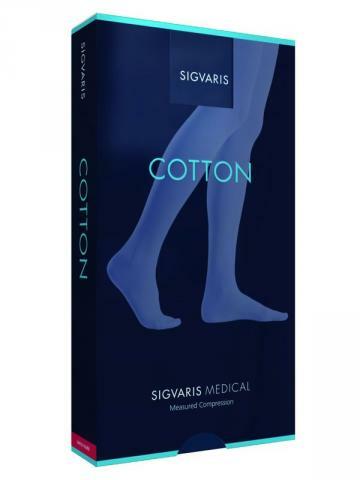 Swelling of the limbs is a common condition that can be addressed by wearing our medical grade Jobst and Sigvaris graduated compression socks and stockings. All compression classes can be used dependant upon severity of the swelling. Lower limb swelling can be reduced by wearing medical grade graduated compression socks and stockings. Please check with your Health Professional as to the cause of your swelling. Our medical socks and stockings may be claimable from your Private Health Insurance. Sclerotherapy compression garments are medical grade graduated compression stockings for wear after sclerotherapy treatment for spider veins. Available in thigh high pantyhose or chaps styles. Jobst and Sigvaris stockings in black and beige with open or closed toes. Silicone bands at the top of thigh high. Chaps style has an adjustable waist band. Medical Compression hosiery can be used as a preventive to maintain a healthy vascular system and healthy legs for someone who spends extensive amounts of time day to day on their feet. 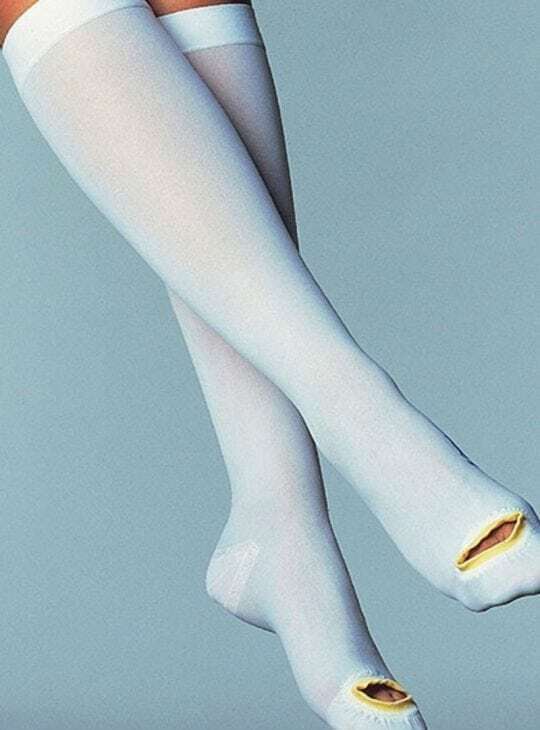 Ever wondered why Nurses love compression stockings? Simply, when we are standing for long periods, the forces of gravity increase the pressure within your veins in your legs where the greater effects happen at the ankle whilst decreasing with graduated compression up the leg and body. This pressure depends on the vertical distance of the column of blood from the heart to the foot. 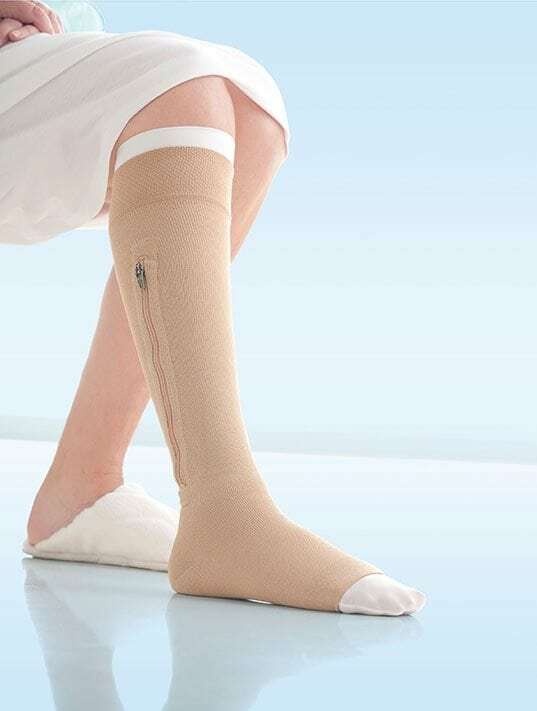 That’s why gradient compression stockings are designed with the pressure greatest at the ankle and diminishing as it moves up your leg in order to counter the effects of the higher venous pressures. Compression therapy hosiery is best put on in the morning upon arising, which is typically before any significant swelling would occur, and then removed at night. Throughout the day the compression prevents blood from pooling in leg veins, which in turn helps your overall circulation and lessens or eliminates any leg swelling you may have. When shopping for your compression socks or compression stockings, it is best to measure earlier in the day before swelling builds in the legs. Measurements taken later in the day after swelling occurs may cause you to choose an item that is too large and then not effective. There are many types of compression socks and stockings available without a prescription and they do offer wide-ranging benefits. Before wearing a compression therapy of 20 mmHg (Firm Compression) and above, it is generally recommended to consult your health care provider to find out if graduated compression stockings are right for you. If the answer is yes, they can tell you what pressure grade you should buy for maximum benefit and relief.